Hawaii voters have overwhelmingly voted against holding a state constitutional convention. Some 69 percent of voters have cast ballots opposing a convention, compared to 24 percent who support it, according to election results that include all but one precinct. About 7 percent of voters left the question blank, which will effectively count as a “no” vote. Residents are given the chance to vote on whether to hold a state constitutional convention every 10 years. 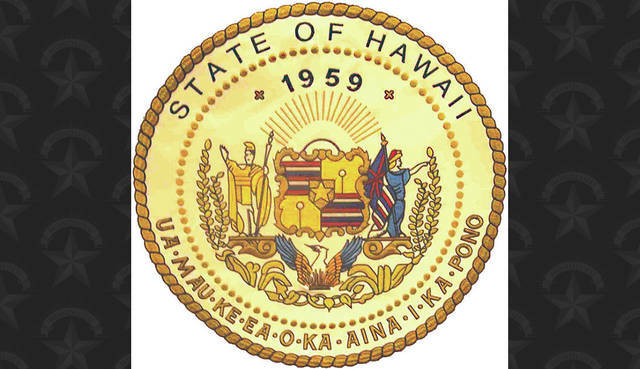 The last convention was in 1978 and ushered in major environmental protections, created the Office of Hawaiian Affairs and term limits for governor, as part of the three dozen amendments that were ultimately approved by voters. But voters have since been weary about holding another one. Opponents spent heavily this year to defeat the measure, arguing that there is too much at stake to open the Constitution to revision, particularly when it comes to protections for labor, the environment and Native Hawaiians. Some have also worried that money and special interests could unduly influence a convention. A ballot measure committee, called Preserve Our Hawaii, spent more than $600,000 in recent weeks on advertising urging residents to vote “no” on the measure. The coalition comprised of powerful unions, business interests, environmentalists and others raised at least $740,000 in their effort to defeat it, campaign spending records show. The Hawaii Government Employees Association donated $290,000, with other contributions coming from the Hawaii State Teachers Association, the Hawaii Fire Fighters Association, the University of Hawaii Professional Assembly and National Education Association. While contributions came heavily from unions, the coalition was also made up of the Hawaii Democratic Party, the Chamber of Commerce Hawaii, Sierra Club Hawaii and the Hawaii chapter of the American Civil Liberties Union, among others. The groundswell of opposition from organizations that could stand to lose something if the state Constitution was reopened for revision mirrors efforts made the last time the question was posed to voters. In 2008, groups opposing a convention spent $1.4 million, according to the Hawaii Campaign Spending Commission. By contrast, ballot measure committees supporting a convention spent just $6,000. The convention was defeated 62 percent to 34 percent, with about 4 percent of voters leaving the question blank. Supporters of the measure this year argued that the state Constitution was meant to be periodically revised and that a convention could help restore trust in government and provide an opportunity to push forward reforms the Legislature has been reluctant to take up, such as campaign finance reform and establishing term limits for state legislators. However, there wasn’t an organized effort to drum up support for a constitutional convention. A simple majority of votes is required for the measure to pass. Blank votes are counted as “no” votes. While meaningless after being struck down by the Hawaii Supreme Court last month, votes are being electronically tallied for a question asking voters if they want to give the state the power to tax real property to support public education. In returns, 60 percent of voters cast “no” votes on the measure, and 26 percent of voters cast “yes” votes. Another 14 percent left the question blank. Ballots had already been printed when the court issued its ruling. The amendment was backed heavily by the Hawaii State Teachers Association.